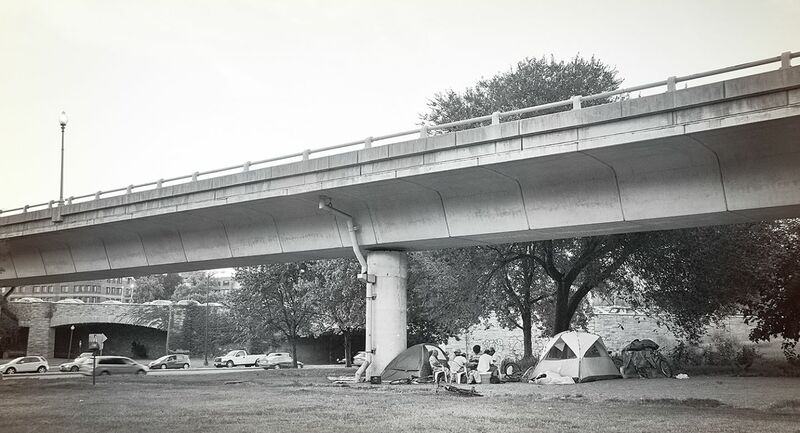 Tent in broad daylight between two main roads. 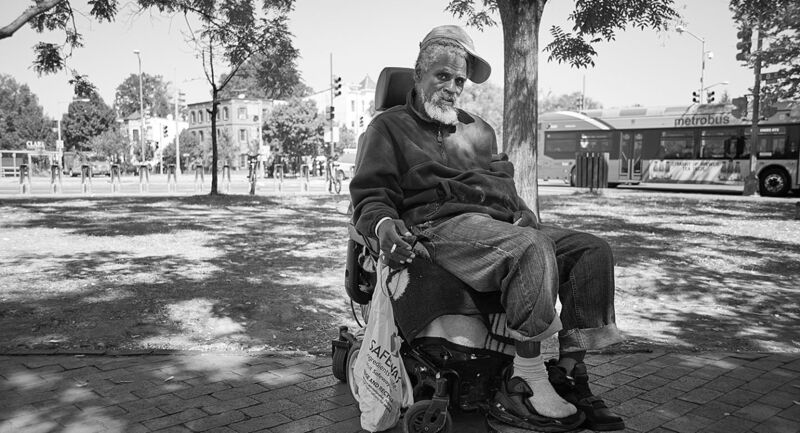 By Market Park near Eastern Market, this photo captures Clarence in his usual hangout spot. 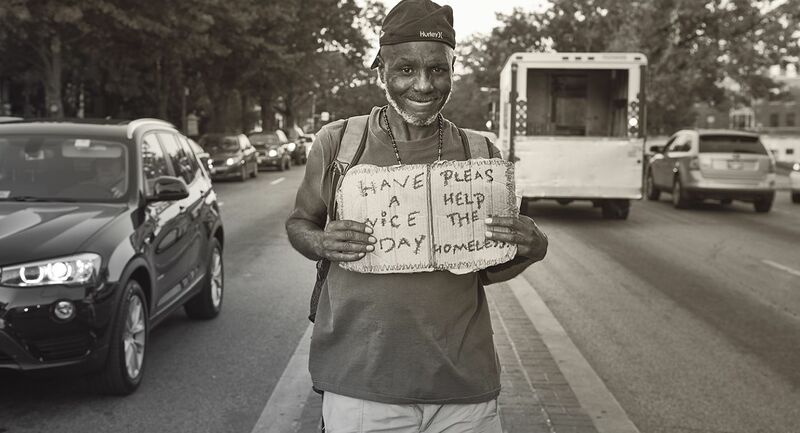 Cheerful and friendly, he was in a good mood as he shared the news that he was just assigned housing. Man pictured with his belongings, shaded only by his hat from the strong summer sun. 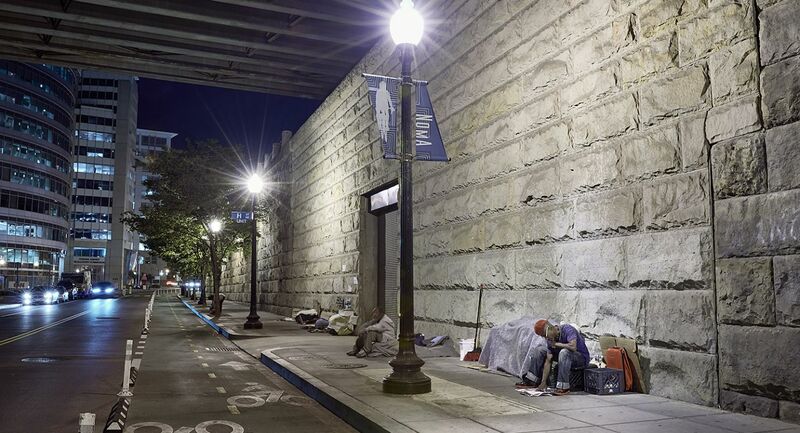 Washington, DC's homeless population of 7,000 people live in dire conditions in the midst of our nation's capital. 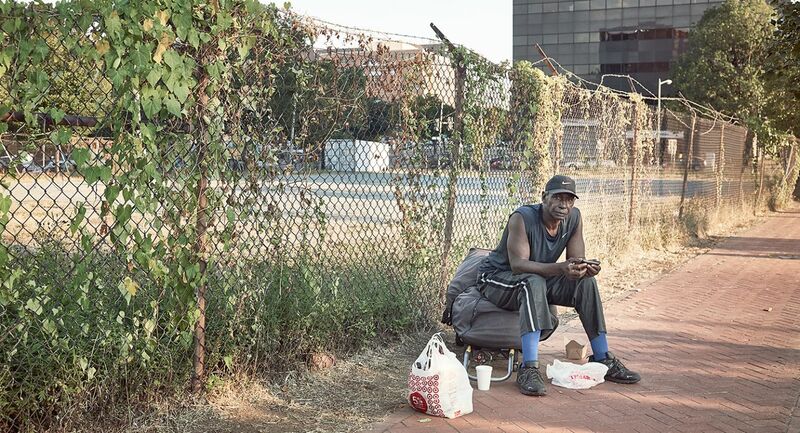 Project Wake Up Call offers a glimpse into their daily lives and struggles through Ian Tong’s photo series, casting a light on one of America's most profound tragedies. 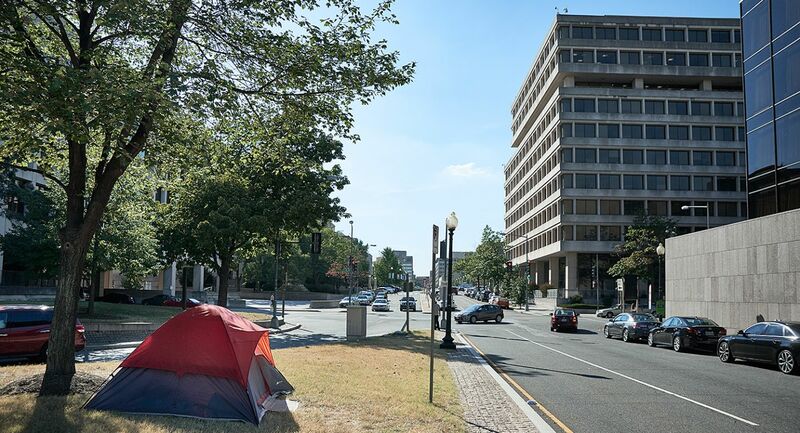 As you browse through the gallery, consider donating to our local partner, Unity Health Care, which provides health services to homeless DC individuals and families, regardless of the patient’s ability to pay.